If you’ve been putting it off — today might be the day to make it happen. It’s the one thing that we seem neglect to do despite the inevitability of a failed hard drive down the road. Hard drives are fragile technology, and technically not meant to be carried. (Although, if you own a solid state drive you’ll outlast your HDD counterparts.) When a hard drive breaks, your only option is to cry and start over, or hire an expensive forensic recovery service. 1. 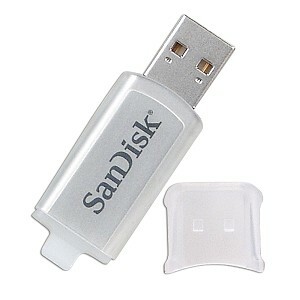 Thumb drive – Thumb drives are dirt cheap and found everywhere – even at job fairs. The price does fluctuate depending on the price and demand, but as technology improves so does the capacity. For those of you who are looking to save essential written documents that most often are only kilobytes in size, including Word documents, PowerPoint presentations, spreadsheets, or photographs – you can quickly store the data in a thumb drive and stash it away in your safe for safekeeping. 2. External Hard Drive – There are two options here. 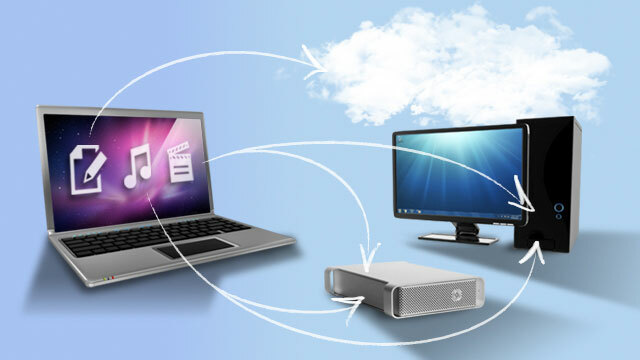 Use an existing hard drive and purchase an external enclosure to transform it into an external drive, or you can simply purchase an external hard drive altogether. 3. Cloud service – Today, everything can be uploaded onto the cloud, and the storage services are endless. Dropbox and SugarSync, are some services to name a few. One simple, free option is simply using Google Docs. Just upload all of your important Word documents, presentations, spreadsheets and photographs onto Google’s servers. Apple’s iCloud service makes backing up your data particularly simple. 4. NAS – Think of a network attached storage device — or NAS — as a hard drive you can get to from anywhere. They can be used for storing data or streaming media, locally or even across the world. You can purchase a NAS for several hundred dollars, or you can save the cash and create a NAS box using an old computer and the free softwsare FreeNAS. Lifehacker has outlined the steps in the detailed guide, “Turn an Old Computer into a Networked Backup, Streaming, or Torrenting Machine with FreeNAS,” which will allow you to create your very own NAS. 5. CDs – This is an old-fashioned methodology, but some of you may find it comforting that somewhere resides a CD or DVD discretely nestled in a dictionary with your files. It’s also dirt cheap, and a ton of modern hardware has the ability to burn CDs or DVDs. 6. All of the above – It’s naive assume that technology will last forever. Hard drives break or fail, CDs can be scratched or cracked, companies that offer cloud storage services can go bankrupt or get hacked, and thumb drives can be easily misplaced. Sensibly, the right move would be to use a mixture of the above. We’d suggest backing up your data to a cloud service and an external hard drive, but when using a cloud service, you should ideally use more than one. We’ve seen customers lose data over the shutdown of MegaUpload, and after the outage of Amazon Web Service. While we’ve suggested some options for your computer, you should remember to back up your smartphone, gaming console and even Web application data. Remember that no one method of backing up data is fail-safe as the infographic below will show you. Let us know if you have any alternative methods for backing up your data in the comments below!